If you thought self-promoting yourself as a content-creator was difficult, imagine trying to stand-out as a top foreign player amongst a sea of other players with all the same capabilities as you and with near identical quality of material offered to their viewers. For many current top foreigners, aspiring teams and their players, there is a struggle to maintain both interest and motivation to play the game with the starvation of real achievements in their careers. This absence leads players to alternative measures to earn both finances to continue their profession and assume other roles that aren’t of the competitive nature (entertaining, marketing). When I was managing for many teams like Team Dynamic or Quantic (among many other teams), my biggest challenge was motivation – getting and keeping my players morally and emotionally compelled to keep practicing. I always told myself: “You can’t force them to play, you can only give reasons to play” and even then; it was nearly impossible to get someone to want to practice at a game that emotionally beats and breaks them down. Couple that with the lack of recognition for their achievements and you get a very emotionally-exhausted and frustrated player. Motivation is strongly pushed by the interest of the game, the thrill of succeeding and the rewards from achieving in events. As we’ll see with my example and explanation, maintaining a willingness to improve is not that easy when you don’t see the perks of it all. Meet my friend Andrew ‘Attero’ Golec, this pro gamer was a prime example of a passionate player who gave it his all, remained almost consistent in skill and never received any real opportunities minus a few mentions and showmatches. Attero’s history is short: started with VT Gaming, went on to join Team Dynamic and continued to be amongst the top North-American/SEA and Europe players in the scene. 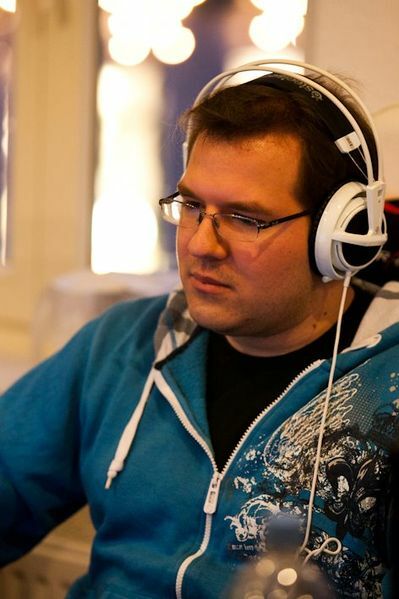 His minor achievements include qualifying for HomeStory Cup IV (2011 – winning over MajOr & KawaiiRice), reaching MLG’s championship bracket in Anaheim (2011 – winning over LastShadow, Jinro and Complexity’s RSVP). Attero is a player who streamed constantly and talked throughout his games for six to eight hours a day, every day. All this work and attention towards his game, his small following and dedication for nearly a year lead to a couple of interviews, guest on OneMoreGame.tv’s Kings of Tin and ChanManV’s Pro Corner webshow. After managing more than 50 players in my time, Attero is amongst my top 6 recommended players. Attero’s story is not uncommon; in fact, it’s too common and too unfortunate. The story of how foreigners cannot achieve and become recognized due to the scene’s over-extension to reach an international audience is becoming popular. What this means is that with the rise of big-league teams stepping up their weaponry from prominent foreigner semi-automatics to Korean automatics, you leave a huge gap of aspiring players with no room to excel or shine at all. The player thus begins to lack of finances leads to needing a part-time job. Trailing behind in competition, the pro gamer eventually falls off the competitive curve and fades. *To note that Korean pro gamers also face their own problems within the scene. Viewers and prosperous team owners (who cannot necessarily afford a Korean or are looking for more fan-favourite/relatable players) can easily determine who is the best of the best within their region/country/continent and offer them a suitable contract. Players who are the best in their region have something to put on their list of achievements. This also widens the amount of “valuable” free agents for showmatch organizers and smaller tournaments to invite as well as create more pride in more local/country talent than international (something I think Europeans are quite closer to than the Americas). Indeed, if we point to Blizzard’s World Championship Series; it helped create national recognition for players like JonnyREcco, put more emphasis on Scarlett’s ability to compete and helped put ViBe back on the map (who has been pretty quiet and undistinguished since It’s Gosu). Blizzard’s WCS gives promise to the American scene [and Terran] with MajOr and helps distinguish other great talents of Europe and South America. The downside to all of this is that, presumably: no one will watch. The general public’s assessment of North-American talent is low [I disagree] and Europeans are just below the Koreans. With that common notion in most people’s minds, who would watch tournaments of only national players when we wouldn’t be necessarily watching “the cream of talent and build-execution“? Blizzard’s World Championship Series does hint at how this may not be entirely true. Unfortunately, there are no popular continental leagues to further test this issue. 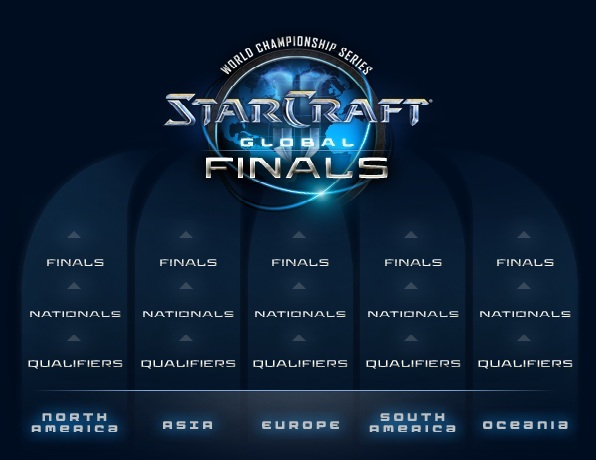 Blizzard’s Battle.net World Championships is a segmented display of offering opportunity to upcoming foreigners with geographically-near goal achievements. With region-based leagues, this could incite national companies to be more interested in sponsoring local teams as well as regional tournaments. For some companies, they only make sales within their nation, thus this could be both more financially supportive of them to sponsor and more worthwhile as their core consumer group is directly involved and centered towards. Affordable costs for companies to be supportive also generates local understanding and interest in a layered, prominent subculture. In another area, regional tournaments would hasten the amount of cycling through current foreign professionals. This is to say that players who were renowned back in 2010 and 2011 would not have as strong as an impact on the scene as they did before due to prominence of newly-succeeding players. At the moment, the perceived importance of some foreign players right now remains both due to their reputable team or by the fact that they remain relevant through other means of content (see: The Thin Corridors of New Content). If the scene is able to show who is currently at the peak of competitiveness on various scales, then established pros can be re-ignited with the desire to improve and retake their position rather than rely on past outdated successes. On the flipside, upcoming professionals will also have a more immediate goal of beating out those who are within reach (in terms of skill level). A good mix of region-based leagues and international tournaments creates a balanced and constant cycling of both aspiring professional players and levels of champions from local to national to international. With a more gradual spread of tournaments, there should be a result of less emphasis on having a Korean (currently the best players) on your team and more demand for foreigners to improve instead of becoming the marketing extremity. This will also add more stable grounds for smaller teams to compete rather than rely on mercenaries to compensate (Team Legion, Check-Six, Alt-Tab) for roster inadequacies. This entry was posted in Analysis and tagged Aspiring Progamers, Foreigners, koreans, Levels of Tournaments, Regionality, Vicious Circle by Torte de Lini. Bookmark the permalink.